After decades of research and the investment of tens of millions of dollars, there are no approved treatments for celiac disease beyond strict adherence to a gluten-free diet. The single best chance for changing this is iCureCeliac®. Your gifts last year helped us expand and improve this revolutionary research resource. Below is a brief accounting of our progress with iCureCeliac® over the past 16 months, much of which your generosity helped enable. iCureCeliac® is the only public patient registry of celiac disease and non-celiac gluten/wheat sensitive patients in the country. Since its launch in March 2016, more than 3,500 patients have joined. This massive registry collects more than 670 data points for each person. The registry’s potential contribution toward the search for treatments and a cure grows as its size grows. Consider this scenario: a biomedical researcher is seeking patients in four different markets with biopsy-diagnosed celiac disease who have a sibling or parent without celiac disease for a clinical trial. Every additional layer of inquiry in this request, from geography to biopsy-diagnosed and non-celiac sibling, funnels the initial pool of prospects into a smaller pool of qualified targets. More enrolled patients affords researchers the opportunity to parse more variables across that may influence celiac disease triggers, symptoms, progression, recession, and more. I would like to highlight that iCureCeliac® is one of several linked patient registries that share a common software platform developed through a Patient-Centered Outcomes Research Institute grant by The Genetic Alliance, a consortium of disease advocacy organizations for genetic-based diseases. The common platform allows researchers to search across multiple databases for common traits among individuals with one or more genetic-based diseases (for example, approximately 37% of celiac disease patients in iCureCeliac® have an additional autoimmune disorder). As of June 1, iCureCeliac® represented more than 16% of all patients registered on The Genetic Alliance platform. Our patient marketing efforts to grow the database will continue. We have learned a great deal about the relative efficiency of various marketing tactics over the past year, and will be applying that knowledge going forward. We know from interviews with researchers from both commercial and academic labs that we need 10,000 biopsy-diagnosed celiac disease patients registered to meet their needs as they seek to develop and test treatments and a cure. Approximately half of our cohort has biopsy-diagnosed celiac disease, and we anticipate that ratio to continue. The bottom line for CDF: we must continue to invest in building the registry. CDF collaborated with researchers at Columbia University Celiac Disease Center to understand how depression modifies the association between gluten-free diet adherence and symptoms in patients with celiac disease. The registry was interrogated to: 1) identify celiac disease patients, 2) identify the level of adherence to a gluten-free diet, and 3) among those who referenced depression in their patient record (a common symptom of celiac disease), identify if there was any correlation between depression and adherence. The results of this study were presented at Digestive Disease Week 2017, the world’s largest medical meeting for gastroenterologists. Among the conclusions reached by the researchers is that healthcare providers must be more diligent in identifying depression among celiac disease patients because, if left untreated, adherence to the gluten-free diet is likely to slip. This has the potential to create a powerful feedback loop that can significantly impact the quality of life for celiac disease patients. iCureCeliac® was used to determine that diagnosis of one or more autoimmune diseases in addition to celiac disease is common, particularly in women and older adults. The most common additional autoimmune diseases found in our patient cohort were irritable bowel syndrome, thyroid disease, and psoriasis. These results will allow healthcare providers to better predict and manage the additional autoimmune diseases that may develop in patients with celiac disease. CDF submitted this abstract to the International Celiac Disease Symposium to be held in September 2017. The second objective is to invite biomedical researchers to use iCureCeliac® to support their ongoing work. Some of the most exciting developments out of iCureCeliac® are coming from CDF partnerships with commercial pharmaceutical companies. In May 2016, Celimmune, an emerging and innovative biopharmaceutical company focused on celiac disease treatments, and CDF joined forces to deploy the iCureCeliac® patient registry as a screen for a phase 2 clinical study for refractory celiac disease type II. This was the first-ever use of the iCureCeliac® registry to support celiac disease therapeutic treatment development. In February 2017, CDF partnered with ImmusanT, a biotechnology company that successfully completed a Phase 1b clinical trial for Nexvax2, a drug to protect celiac disease patients from accidental exposure to gluten. On the strength of Phase 1b results, the drug is advancing to a Phase 2 trial. Our partnership will help inform the celiac disease community and healthcare providers of the Nexvax2 Phase 2 clinical trial and will help screen potential recruits. Through iCureCeliac®, we have found that 53% of people with celiac disease continue to experience symptoms while on a strict gluten-free diet. The most common reason for persistent symptoms is unintentional ingestion of gluten. One way to determine gluten intake is to use an in-home test. In collaboration with Glutenostics, the exclusive North American provider of GlutenDetect, rapid, in-home tests for detecting gluten in urine and stool, we used iCureCeliac® to recruit patients for focus groups regarding in-home monitoring tools for gluten exposure. CDF is currently in discussion with several other biopharmaceutical companies to provide data and to assist with clinical trial study recruitment. Beyond these promising commercial relationships, we are using iCureCeliac® to inform other key relationships and initiatives. We believe the following will enhance the quality of life for celiac disease patients by improving the diagnosis rate and advancing potential treatments for celiac disease, and by providing access to clinical trials for drugs to mitigate celiac disease and its symptoms. A recent study by Dr. Edward Liu of Children’s Hospital Colorado indicated that as many as 3% of all children develop celiac disease, and that as many as 5% develop a pre-celiac disease condition that may or may not fully evolve into the disease. The widely assumed disease prevalence of approximately 1% of the population may be dramatically underestimating the reach of the disease among children. CDF has collaborated with The North American Society for Pediatric Gastroenterology, Hepatology and Nutrition (NASPGHAN) to develop clinical guide software for pediatric celiac disease. This web-based tool found at clinical.celiac.org puts into the hands of pediatricians and family practice physicians an easy-to-use, interactive tool to advance the correct diagnosis as well as treatment of celiac disease among children and their relatives. CDF is partnering with Children’s National Health System (CNHS) in Washington, D.C. to inform a Clinical Guide tool for the American Psychological Association. CDF and CNHS will collect and analyze mental health data in iCureCeliac®. 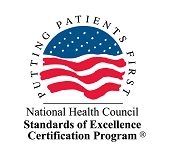 The web-based tool will guide mental health providers to assess if their patients require a celiac disease screen, as well as provide best practices in the assessment and treatment of celiac disease patients and their families. CDF partnered with Dartmouth College to submit a National Health Institutes grant to study arsenic exposure in those with celiac disease. Data collected through iCureCeliac® was used to inform the grant submission. A proven advantage of the iCureCeliac® patient registry is the ability for researchers to screen targets for clinical trial participants. Additionally, the registry allows patients to identify as individuals who are interested in participating in a clinical trial. However, the process remains researcher-driven and is limited to the relatively small percentage of diagnosed celiac disease patients in the registry. We wanted to offer patients as well as their healthcare providers, another tool to learn about proposed or ongoing clinical trials. On May 1, we launched the CDF Clinical Trial Finder at trials.celiac.org. This provides an easy way for patients and healthy controls to identify and participate in research studies to accelerate the development of treatments and a cure. iCureCeliac® is off to a promising beginning. The registry is growing. 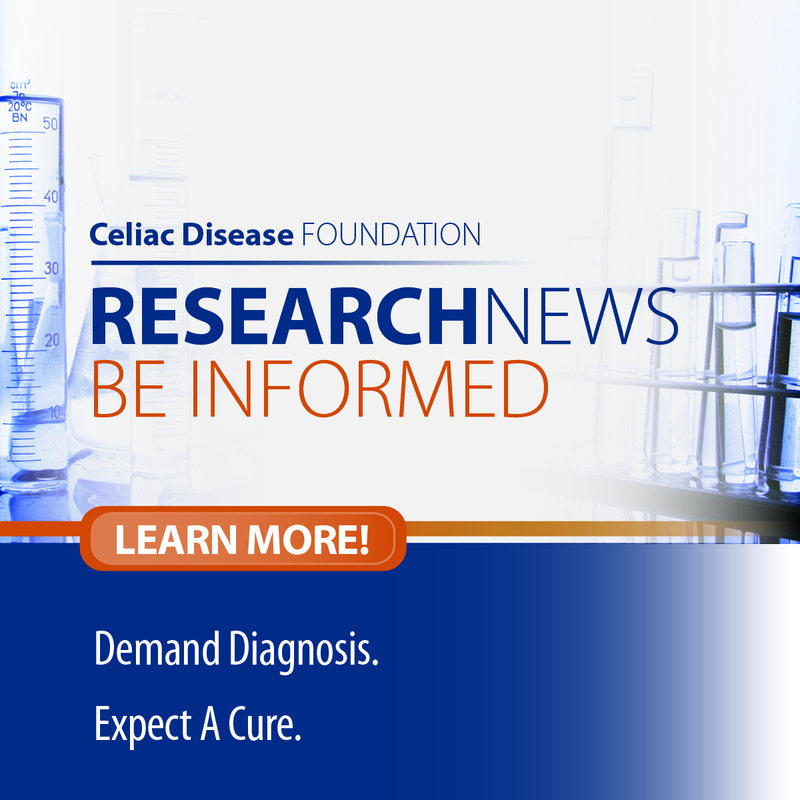 Researchers have already learned important new information about celiac disease and are beginning to access the database to populate critical clinical trials to test the safety and efficacy of a variety of potential treatments for the disease. Much of what we have accomplished can be credited to your generosity and the generosity of others who have supported iCureCeliac® with donations. Again, we thank you. Going forward, our task is more ambitious. We have, in consultation with leading researchers from across the country, including many on our Medical Advisory Board, set a target of 10,000 biopsy-diagnosed celiac disease patients. We know that the sooner we reach that goal, the sooner we will all benefit from improved diagnostic strategies, treatments, and a cure. If you have any questions about this report, iCureCeliac®, or the Celiac Disease Foundation, please contact me directly at marilyn.geller@celiac.org or 818-716-1513 x102, and consider making a donation today.